First Listen: Fleet Foxes, 'Helplessness Blues' On the follow-up to its hit debut, the Seattle folk-rock band beats the sophomore slump by sticking to what it does best. Hear Helplessness Blues a week before its release on May 3. 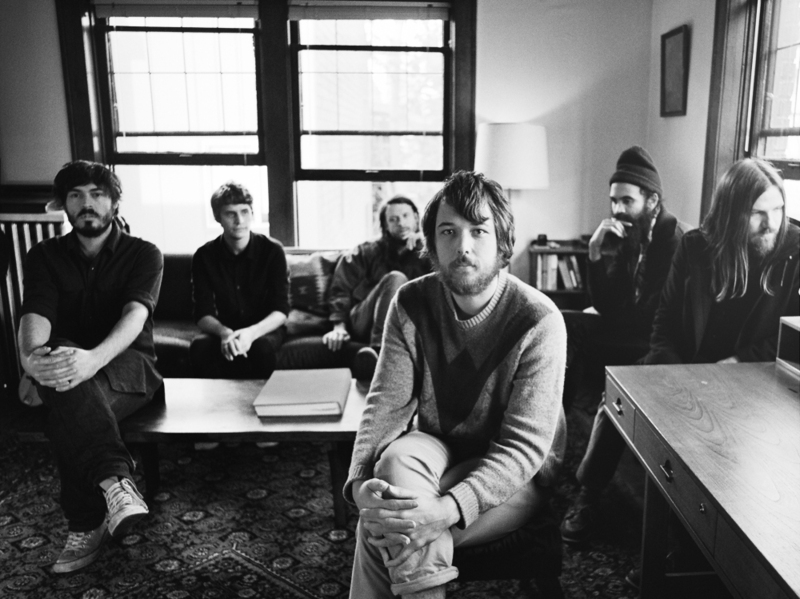 Fleet Foxes' Helplessness Blues comes out May 3. It's been nearly three years since Fleet Foxes' self-titled debut catapulted the Seattle band from small clubs to massive sold-out shows and the stage of Saturday Night Live. That's made the weight of expectation heavy for Fleet Foxes' follow-up. The making of Helplessness Blues -- out May 3 — was a long and painstaking process. After coming off a seemingly endless tour last fall, Fleet Foxes entered into recording sessions that were fraught with second-guessing and a lack of consensus. Multiple songs were re-recorded; the entire album had to be mixed twice. "There are so many considerations to make when you are making a record," frontman Robin Pecknold said in an interview with Stereogum. "You just want to make the best thing that you can, you know? You want it to be a good song, but it can't be too much like anything else you've already done. And you can't help but think about the landscape that this music is going to be received in, which also affects your creative process." Fortunately, Helplessness Blues works well in spite of all that pressure. The band hasn't changed the recipe that worked so well on its debut, but it does add a few new ingredients. A saxophone freakout marks the last third of "The Shrine/An Argument," for example, while trilling flutes float over "Grown Ocean." Still making intricate folk songs with otherworldly harmonies, Fleet Foxes' members clearly wrestled with the fear of repeating themselves in making Helplessness Blues. Ultimately, they wind up letting go and doing what they do best, and the results are outstanding.